Flex your superhero! 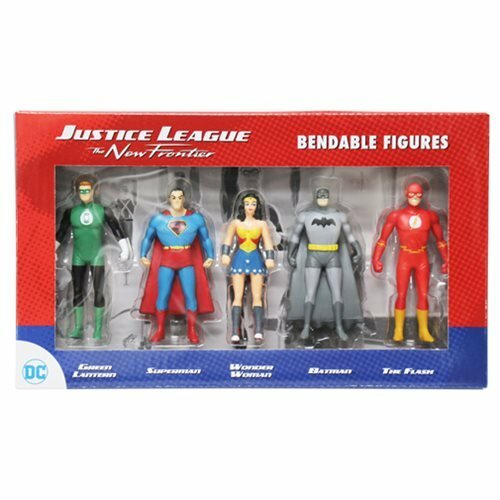 You get five key members of the team from Justice League: The New Frontier in this Justice League: The New Frontier 3-Inch Mini Bendable Action Figure Box Set. Green Lantern, Wonder Woman, Superman, Batman, and Flash are all here for your twisting, bending, posing enjoyment! Each figure measures about 3-inches tall. Ages 3 and up.